Double ensuites are furnished and decorated to the highest standard. Many enjoy stunning views of the Irish Sea and the promenade. 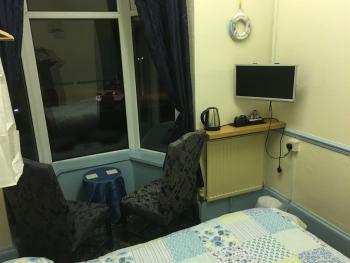 They offer central heating, double glazing, colour TV and complimentary tea & coffee making facilities. Family ensuite with double and single bed. Furnished and decorated to the highest standard. Views of the Irish Sea and the promenade. Central heating, with double glazing, colour television and complimentary tea and coffee making facilities. Welcome to St Albans Hotel, located in one of the finest positions on the South Promenade. The proprietors, Paula and Bryan Chapman, promise a high standard of cleanliness, comfortable surroundings. We aim to cater for the needs of all our visitors and have family experience of cooking for vegetarians and allergy suffers, so know their expectations. We welcome children and babies into our hotel. We are far enough from the town to ensure peace and quiet, yet within walking distance of the Pleasure Beach, Sandcastle, Blackpool Tower, Winter Gardens, Grand Theatre and the town centre amenities. There is a stop on the famous Blackpool Tramway right in front of the hotel for an unforgettable ride on one of the historic trams along the prom or as far as Cleveleys or Fleetwood. We are in a prime position for the magic of the illuminations within the Golden Mile. 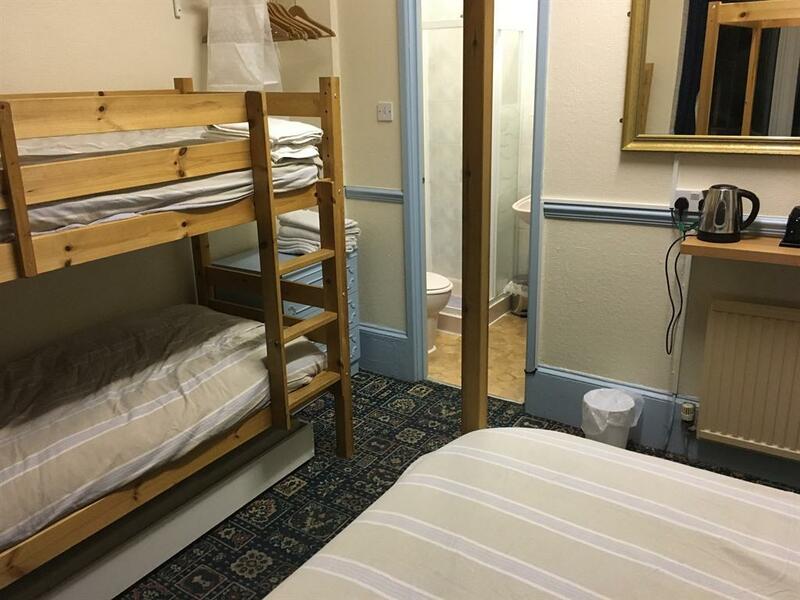 All rooms are ensuite and well equipped. At any time of the day you can relax in our sun lounge which overlooks the promenade. You can watch the illuminations, watch television or just watch the waves! In the evening you can enjoy drinks, good company and a game of pool in our bar lounge. 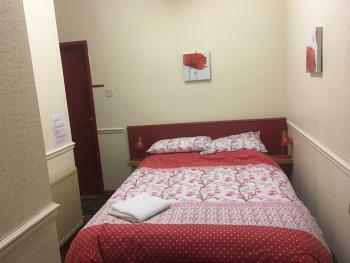 For best prices and availability visit http://blackpoolstalbanshotel.co.uk/ or text 07584082982. 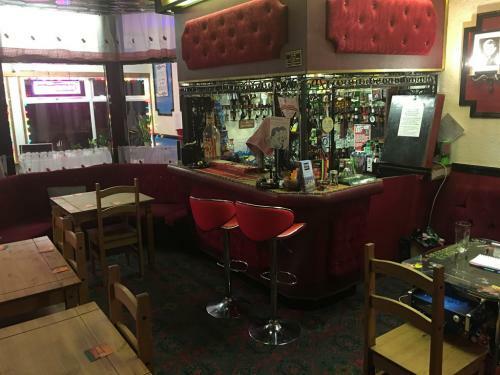 Email to bookings@blackpoolstalbanshotel.co.uk There are eight car parking spaces which are free and available on a first come first served basis. There is a WC on the ground floor. Travel down Yeadon Way to Waterloo Road exit. Turn left onto Waterloo Road and travel to the end onto Promenade. Turn Right. St Albans Hotel is in the fourth block on the right.